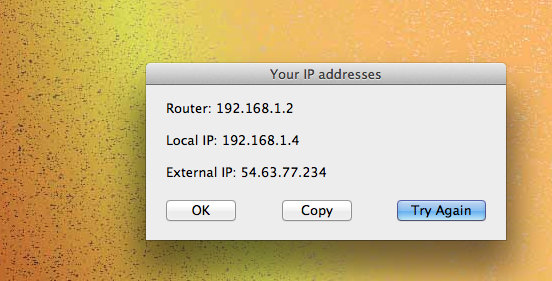 Posted on July 30, 2013, in AppleScript and tagged applescript, find, IP address, my IP, OS X, whatsmyIP. Bookmark the permalink. Comments Off on get computer’s local & external IP address.